It didn’t take Game of Thrones season 6 long at all to ramp up its intensity. With two episodes and multiple surprises already behind us, HBO has released seven more photos, providing a look at what’s to come in episode 3, Oathbreaker. If you’re not up to date on the series, watch out, because there may be spoilers ahead. Eight of the series’ key players are featured in the photos, but perhaps the one we’re most eager to see is not. That’s right: Newly-revived Jon Snow (Kit Harington) is notably absent from the batch of images. With the actor finally revealing this week that he has a sizable role in season 6, it would have been nice to have gotten a glimpse of him. Alas, a re-emergence last Sunday will have to suffice. Daenerys (Emilia Clarke) meets her future. Bran (Isaac Hempstead Wright) meets the past. Tommen (Dean-Charles Chapman) confronts the High Sparrow (Jonathan Pryce). Arya (Maisie Williams) trains to be No One. Varys (Conleth Hill) finds an answer. Ramsay (Iwan Rheon) gets a gift. It’s unclear what future Daenerys will be meeting, but if the image is anything to go by, it’s pretty bleak. However, Tyrion (Peter Dinklage) did release the dragons, so perhaps that is what has caught her attention. He looks pretty grim in his image, though. Does he regret his actions? 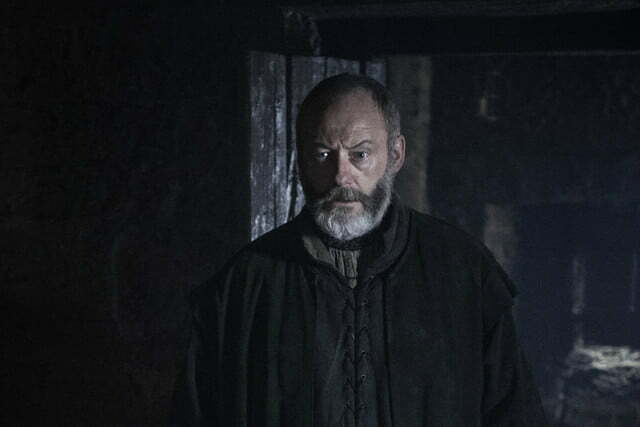 With Bran apparently meeting the past, perhaps he’ll manage to successfully put his training to work. 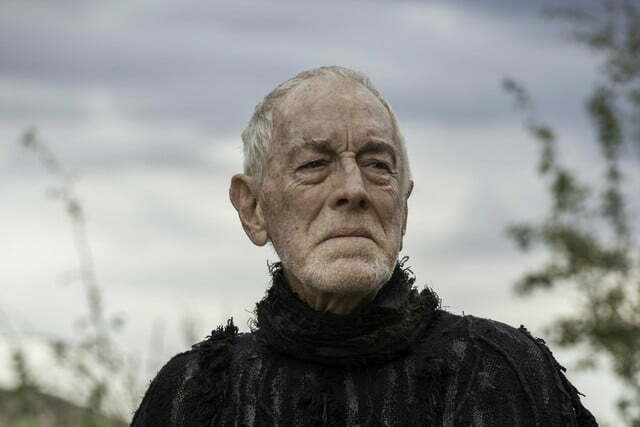 His teacher, the Three-Eyed Raven (Max von Sydow), looks worried in one of the new photos. 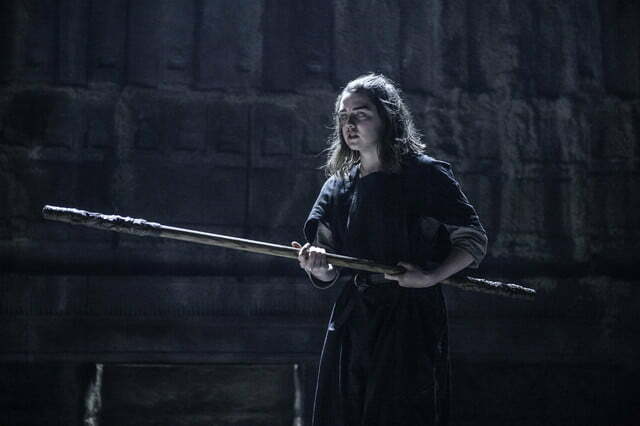 Meanwhile, Bran’s sister, Arya, is busy training as well. It’s not easy, based on the bloody nose she’s pictured with. 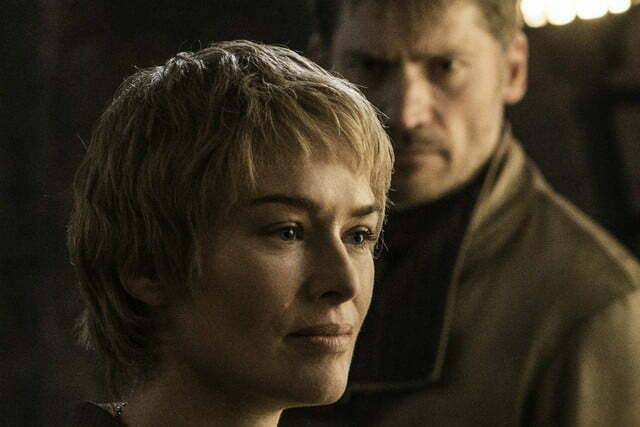 For the Lannister twins, Cersei (Lena Headey) and Jaime (Nikolaj Coster-Waldau), it seems like revenge is still in the works. 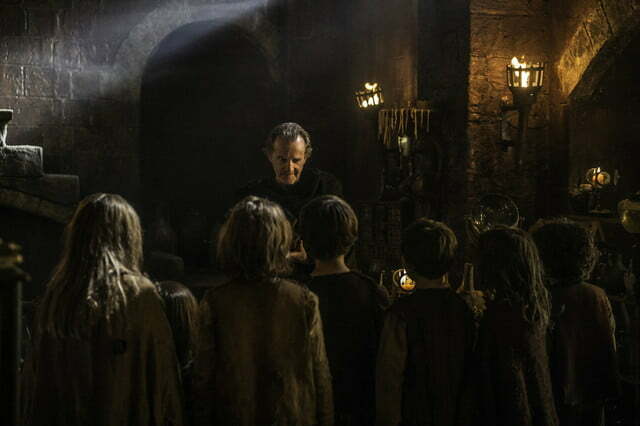 The remaining photos show Qyburn (Anton Lesser) meeting with a group of children and Davos (Liam Cunningham) looking shocked. Perhaps the latter has come face-to-face with Snow? We’ll see how it plays out in episode 3 of Game of Thrones season 6, which airs at 9 p.m. ET/PT on Sunday.